Sao Paulo is the most populous and also the wealthiest city in Brazil. The city’s name honors the apostle – Saint Paul. Due to its vastness, the city is divided in several zones. Sao Paolo has a lot to offer in terms of shopping, from new and old shopping malls, to more authentic Brazilian street shopping experience. If you really want to get to know Sao Paulo, you should probably start at the old city center, which is packed with historical sites and each has its own story to tell. 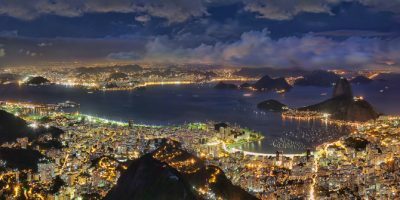 In this area, there are two shopping areas you should visit – Mercadao – the Sao Paolo Municipal Market – where you can get a taste of local food and cuisine, and a crowded commercial hub district, made out of several streets – Rua 25 de Marco. In 25 de Marco Street you can find various handmade products from souvenirs to unique jewelry, but if you look hard enough you will find pretty much anything you desire. But be aware, this area, while cheap, stands for one of the more dangerous in Sao Paolo, so be sure to take good care of your belongings, and just take a small portion of pocket cash with you when shopping here. If you want to taste authentic Brazilian food, go to the Mercadao – Municipal Market of Sao Paulo – one of the most visited touristic attractions in the city. Besides endless supply of fresh fruits and vegetables, there are dozens of good restaurants located here. Eating here however isn’t cheap, but the portions served in restaurants are fairly generous. If shopping experience in Rua 25 de Marco was a bit too wild for you, move to the south-central city zone and enjoy regular shopping session on the Morumbi Shopping Mall. There aren’t many high-end brands stores located here, but the variety of shops is still huge and will satisfy the most. Additionally, there are few amazing restaurants you can pick from, and also, there are options for anyone’s pocket! The western zone of the city is where several shopping malls are located, including the oldest Brazilian mall currently in operation – Iguatemi shopping mall. 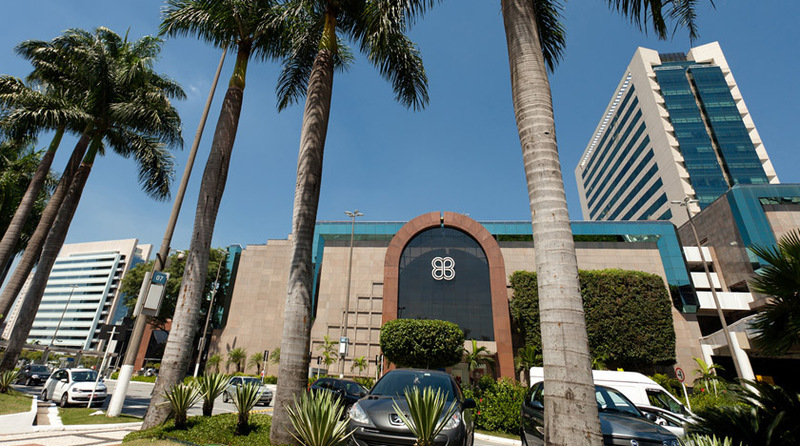 Iguatemi however, is actually a modern and luxurious shopping center, which contains most expensive brands and high-end stores. Another shopping center you should definitely visit in the western zone is Cidade Jardim – an open air mall with beautiful horticulture. It is often said that Cidade Jardim is built only for rich people, and this isn’t far from truth. Here you can find some top labels stores – Gucci, Prada, Hermes etc. but also the best selection of local brands and plenty of great restaurants that are mostly located on the terraces, offering nice view of this area of Sao Paulo. While in the western part of Sao Paulo, you can also walk along Rua Teodoro Sampaio and take a look at the offer of some unique furniture but also musical instruments, Rua Santa Ifiquenia if you are looking to purchase some electronic merchandise like watches or phones, and Rua Jose Paulinho if you want to check out what wholesale clothes shopping looks like in Sao Paulo. If your favorite thing about shopping malls is eating good food at acceptable prices– the best choice for you in the area is Eldorado shopping mall. Brazilians are classicists, there is no doubt about that, the biggest shopping mall in Sao Paulo – Aricanduva – is dedicated to the working class citizens. It is located in the far eastern parts of Sao Paulo, and the vicinity actually shows what the life in poorer parts of Brazil looks like. It is the third largest shopping mall in Latin America with over 500 shops and 14 cinemas. The great thing about Aricanduva shopping is that when it was built parking spaces were taken in consideration, and there are about 15,000 available, while parking may prove to be an issue when visiting some of the high end shopping malls. Sao Paulo is a huge metropolitan area, in which you can enjoy shopping in many different settings and environments, from bargaining with locals on the open street markets for unique merchandise, to buying exclusive goods from the world’s most famous clothing labels in luxurious shopping malls.